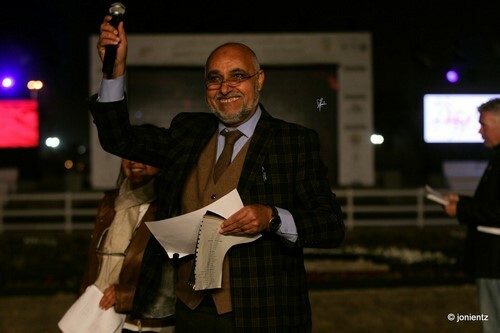 The 2017 Kuwait International Arabian Horse Festival, in its entirety, lasted from February 3–21. 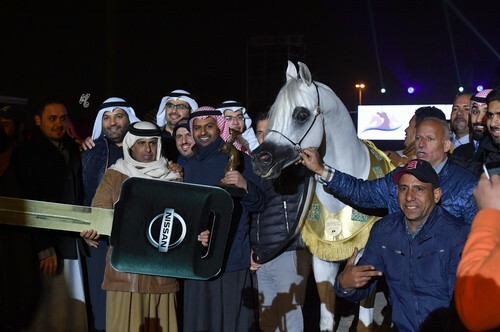 It began on February 3–4 with the 6th International Championship, followed by two days of Open House Stud Visits which included an exhibition of artwork of the famous artist Mr. Ali Al Mimar at Bait Al Arab. 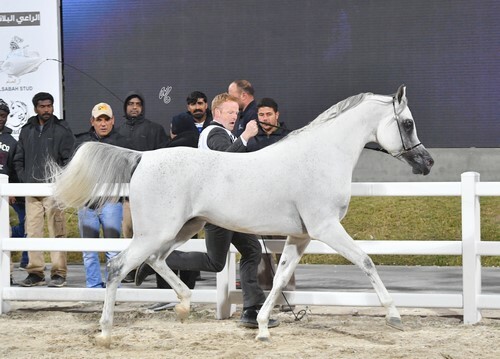 Then on February 17–18, it continued with the All Nations Cup – Straight Egyptians and three more days of Open House Stud Visits with the exhibition and launch of the book Ansata Hejazi – Born to Rule. 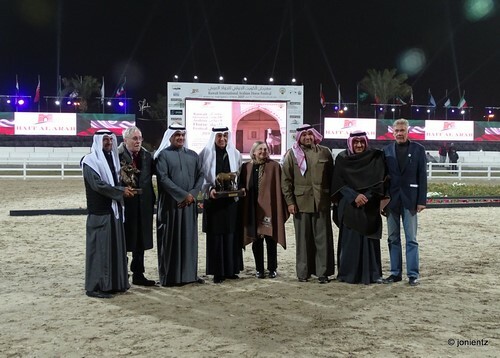 Both shows were excellently organized by and hosted at The Arabian Horse Center Bait Al Arab, the State Stud of Kuwait. 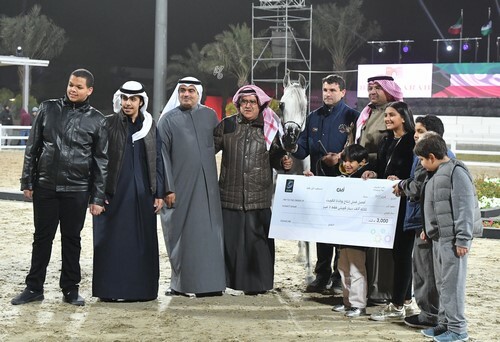 The All Nations Cup – Straight Egyptians took place on February 17–18, 2017, in Kuwait, at the Arabian Horse Center – Bait Al Arab. Under the patronage of H.H. 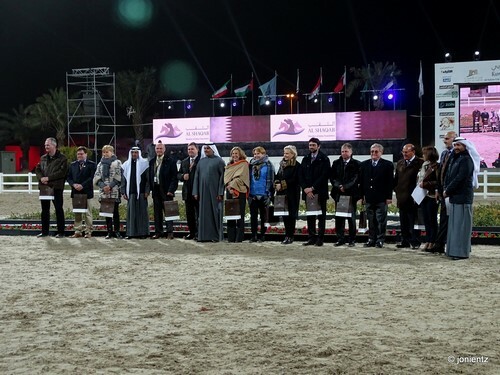 Sheikh Sabah Al Ahmed Al Jaber Al Sabah and in cooperation with the All Nations Cup Committee represented by its Chairman Dr. Hans J. Nagel, the All Nations Cup – Straight Egyptians celebrated its second year as a show with growing international importance. Evidence of its bright future as a show was the quality and volume of its attendance, representing both regional and international destinations. 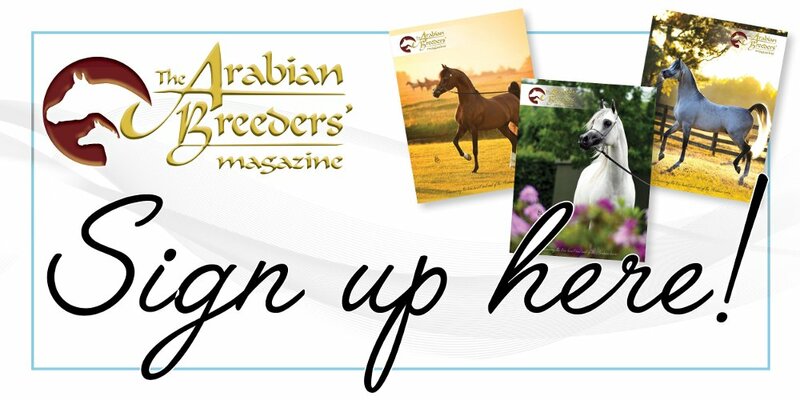 As for the competition, although breeding programs from all over the world were represented, the participating nations included: The Kingdom of Saudi Arabia, Qatar, Egypt, Jordan and Kuwait. In its design, the VIP section was thoughtfully planned. From a viewing perspective, there was not a bad seat as all vantages points were equal. But it was also comfortable, easy to navigate and, due to the position of seating, facilitated socializing and crowd spirit – which was high. Both the VIP and surrounding viewing areas were filled with guests and spectators, despite difficult weather conditions. However, thanks to intelligent foresight and planning, the show organizers were prepared for the unusually cold temperatures and precipitation with appropriate accommodations. This elevated hospitality was appreciated by those in attendance and certainly added to the charm of the event. The classes were judged using the 20–Point System in which half points could be utilized. The categories for scoring included: Type, Head, Neck, Body & Topline, Legs and Movement. As an indicator of its importance, the score for TYPE was multiplied by two. In the qualifying classes, ties were resolved by giving the higher placement to the horse with the most points for TYPE. If that did not resolve the tie, the score for MOVEMENT decided. Finally, if that failed to resolve the tie, one judge who was chosen by ballot named his/her preference. In the Championships, a tie was resolved by giving the higher placement to the horse with the highest Qualifying Class score. If that did not resolve the tie, then the procedure for ties in the qualifying classes was applied. The Championships were judged comparatively according to the so called ‘open championship method’ of ECAHO. Only the class winners and second place horses were qualified to compete in the Championships. The Senior Females are always a show highlight – and the quality of the competition was high. For example, as a group, the Senior Female Medal winners, represented the highest score average of all Championships. 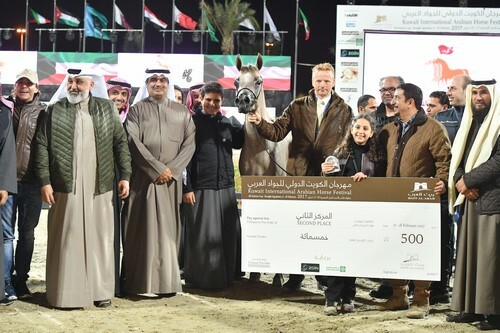 Ultimately the Gold was awarded to Menouah Al Rayyan (Fares Al Rayyan X Bint Messoudah M HP), a 2012 mare who was bred and is owned by Al Rayyan Farm (QAT). 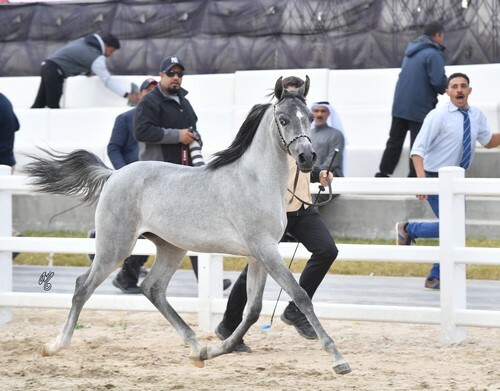 In her qualifying class, Menouah Al Rayyan earned four 20’s: one for TYPE and three for HEAD. 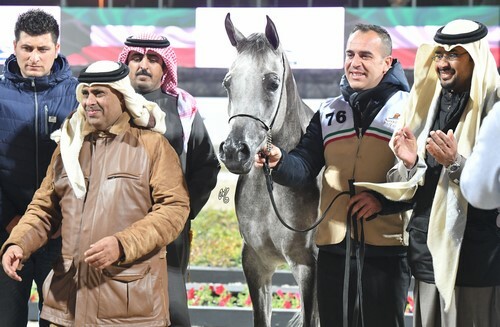 The Silver was earned by Maysuna Guasimo (Al Adeed Al Shaqab X Najib Guasimo), a 2009 mare who was bred by Frederico Fogarin (ITA) and is owned by Aldanat Stud & Al Fala Stud (KWT). Impressively, with a qualifying class score of 93.57, Maysuna Guasimo was the highest scoring horse of the show. 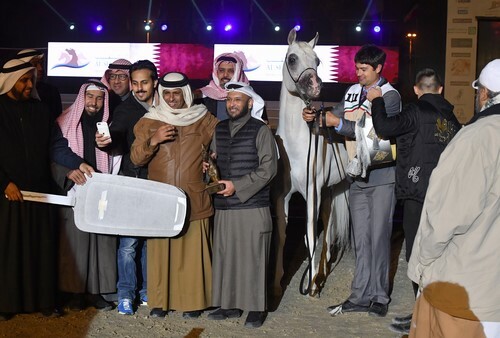 Finally, the Bronze went to Tibrah Al Shaqab (Farhoud Al Shaqab X Twom Hiddiyya), a 2012 mare who was bred by and is owned by Al Shaqab Member Qatar Foundation. 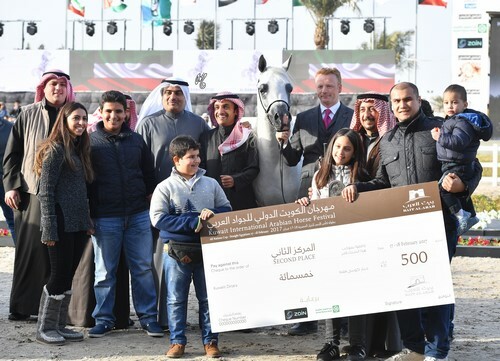 To further illustrate the depth of quality in this Championship, in her qualifying class, Tibrah Al Shaqab was awarded the same score as the Junior Female Gold and Silver Champions. Bait Al Arab has been very successful in encouraging a breeding environment which is flourishing through the county. 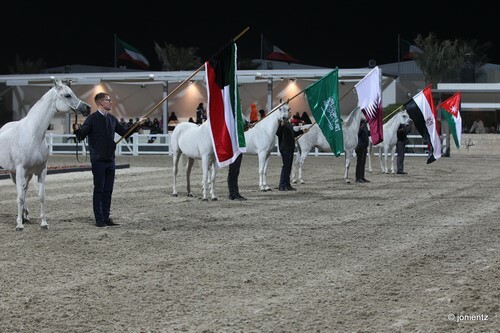 Of the 118 horses who competed in this International competition, 97 of them were bred and born in Kuwait. 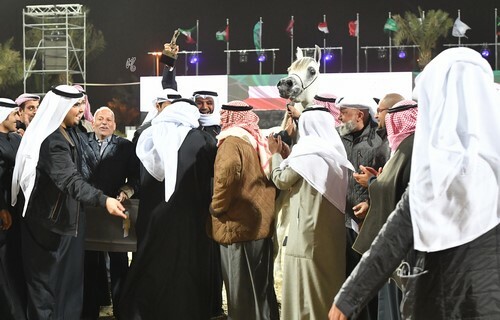 One of the very special features of the Kuwait shows is the recognition given to horses which were “home bred.” In addition to the class and medal winners, three special awards were given: Best SE Arabian Female bred and born in Kuwait, Best SE Arabian Male bred and born in Kuwait and the Most successful Kuwait SE Arabian Horse Breeder Award. The Best Female and Male awards were given to those horses with the highest class scores. 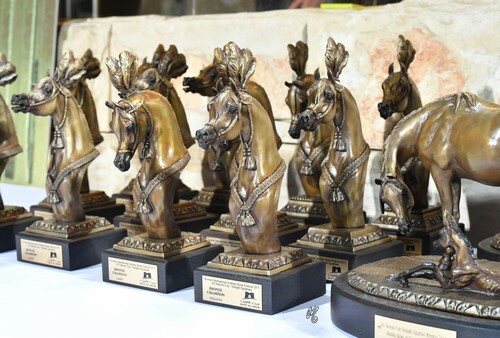 The Most successful Breeders Award was determined by total points earned by class placement, in which only the five best results per Kuwaiti horse breeder were counted. 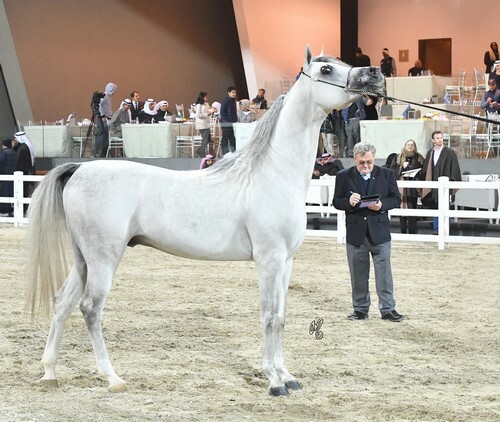 With a Class score of 92.93, Shalwa (Sinan Al Rayyan X Al Galyla), who was bred by Essam Al Roumi and is owned by Aldanat Stud, was recognized as the Best SE Arabian Female bred and born in Kuwait. With a Class score of 92.5, M Anan (Ansata Al Murtajiz x Aroub Asayel) was recognized as the Best SE Arabian Male bred and born in Kuwait. M Anan, who was bred by Mubarak Arabians and is owned by Mohammed Al Mubaraki, was the Stallions 4–6 Class winner. 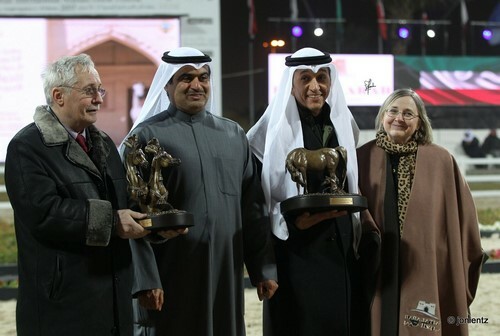 Finally, the Most Successful Kuwait SE Arabian Horse Breeder Award went to Mohammed Al Mubaraki, of Al Mubarak Arabians. The All Nations Cup Trophy for Straight Egyptians is the grand trophy which was awarded to the Nation whose entries score the highest number of points per a determined scale in which both Class and Championships scores are considered. Horses compete for the Nation where the owner has his/her citizenship at the closing date of entry (2016–12–29). In the case of joint ownership, only one nation was considered. The All Nations Cup – Straight Egyptian Breeders Trophy, which is also referred to the Sheikha Salwa Al Sabah Memorial Trophy, is based on the same scale as the All Nations Cup – Straight Egyptians Trophy, recognized the country where the breeder has his/her citizenship at the time of birth of the respected horse. The country of Kuwait was the recipient for both prestigious awards. Next articleWho said Arabs can’t Jump?